Happy May guys, wow Spring is coming along fast isn't it? Hope you all have a super lovely April. I was lucky to spend last week in Seoul and a trip to Korea would not be complete without shopping for beauty, amirite ladies? 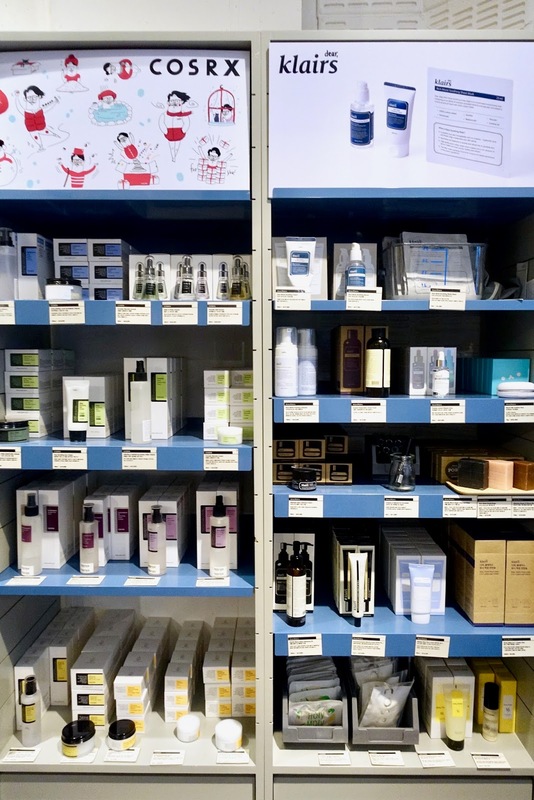 Every beauty lover knows Koreans ladies know their skincare, I was so intrigued and excited to be in the land of K-beauty. 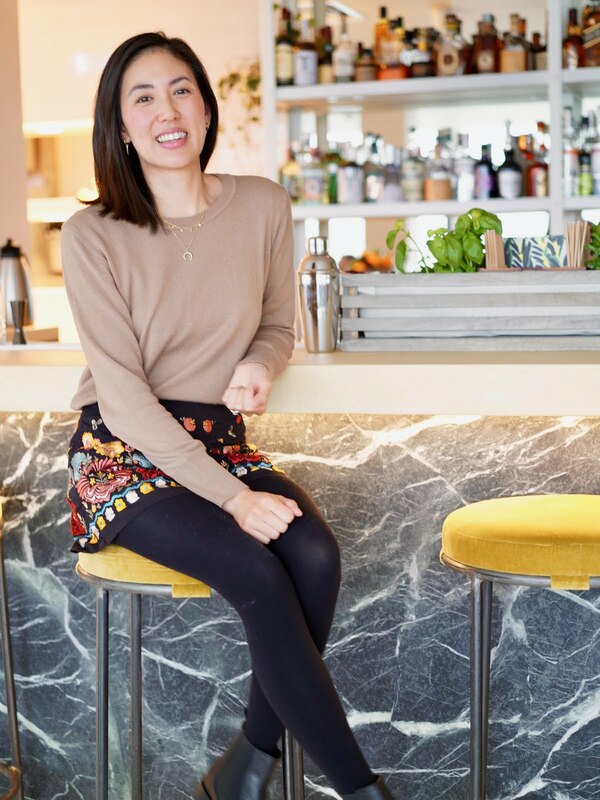 Korean women really do look after their skin and their makeup looked impeccable, very dewy and fresh. 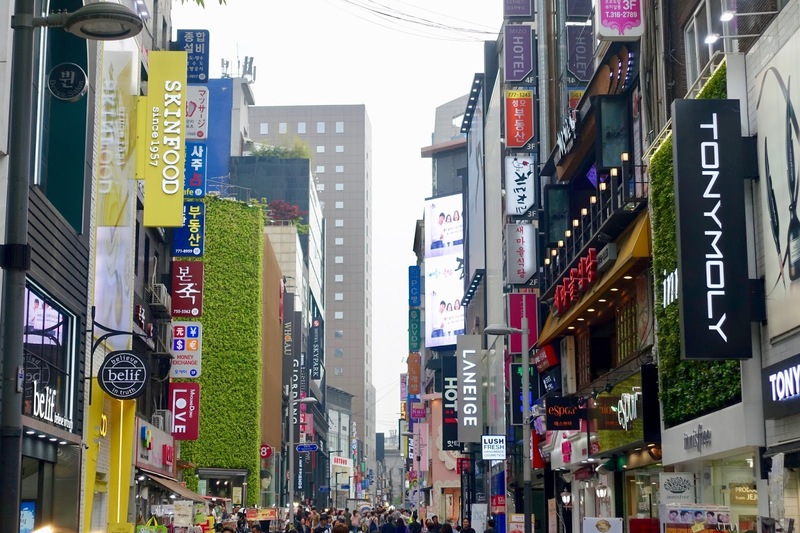 So armed with my shopping list, I was ready to hit the streets of Seoul! 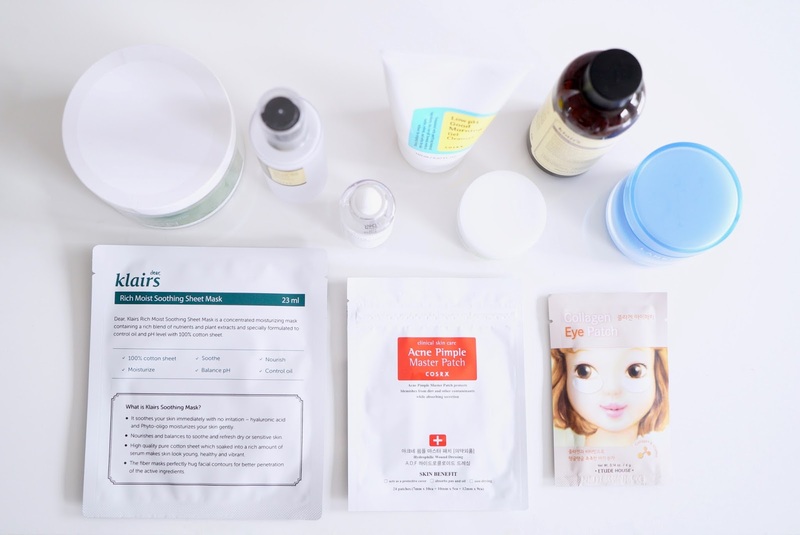 Last year I've got into my K-beauty and brought a few products online from Sokoglam and Wishtrend. With this trip, I wanted to be prepared so read up reviews on what products to get rather than turn up and want to buy everything! 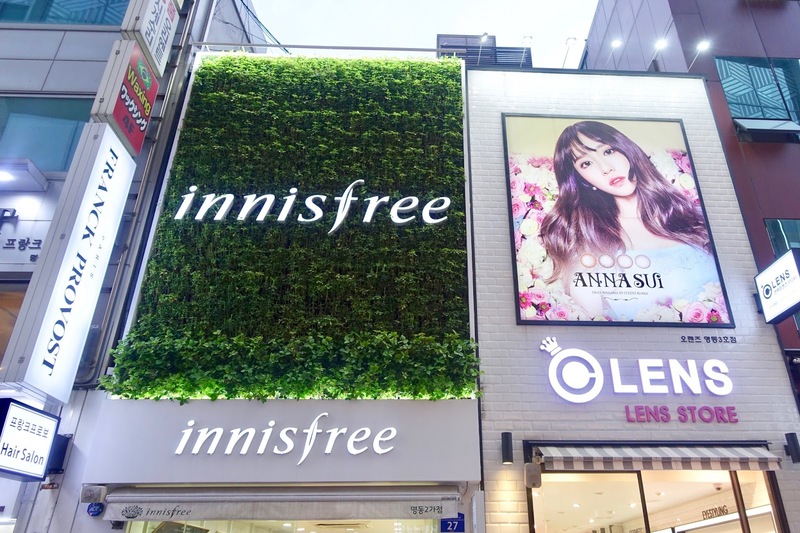 So for beauty shopping you want to head to Myeong-dong - Line 4, exit 6 luckily we were staying in this area :) Ladies, if you been you know the hype is real. There are streets lined up with more skincare and makeup brands than I've ever seen before, it's beauty heaven or hell if you're a guy haha. 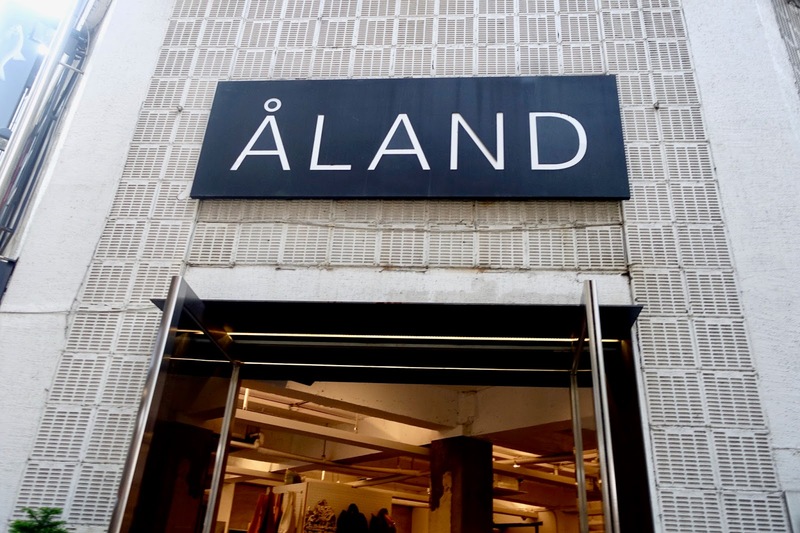 There are no stand along stores selling Klairs or Cosrx products, so if you want these particular brands head to Aland. This is a gorgeous lifestyle store, which reminds me of Urban Outfitters and & Other Stories. You can find Aland near the Adidas store in Myeongdong. Here are a few items that I picked up from there. This toner was voted no 1 product on Wishtrend last year and had rave reviews so I knew I had to pick one up! It's a calming and hydrating toner, containing hyaluronic acid, beta-glucan and lipidure to really add in moisture retention and helps products absorb into your skin. I've really been enjoying using this toner, after cleansing I pat the liquid on my skin using the palm of my hands. It feels gentle, hydrating and doesn't sting or irritate. It also has a really gorgeous scent of essentials oils, would definatley purchase again! I stocked up on their Vitamin C serum, which I've been using for about 6 months now. This serum contains 5% Vitamin C, which helps repair your skin and prevent dark spots. I use this in the evening after my toner and essence and blend into my skin, it feels slightly warm when first applied. It's been great at evening out my skin texture. There are literally so many sheet masks in Seoul, every brand is selling them! 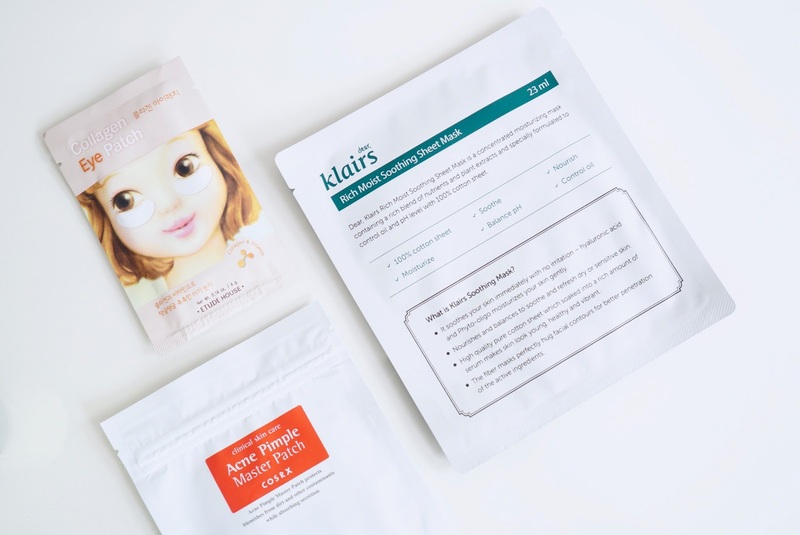 I wanted to pick up the Klairs Masks, which my friend Cherie recommended to try :) These pure cotton sheets contain rich moister essence to give your skin intense hydration. I can't wait to try out this mask.These worked out at about £1 so I stocked up on these! I've read lots of great reviews on these pimple patches and a few of my friends love it too. Each pack has 24 individual patches in various sizes. It's a hydrocolloid patch that prevents infections and helps with healing. These sound ideal to treat annoying spots as well as prevent infection. I didn't plan to pick up this cream but I after reading up about it, it sounded perfect to calm and lighten up acne scarring. It's has a thick texture like an ointment cream and a little goes a long way. I've been using it for a few days now and have already seen results, I had a small breakout on my cheek and it helped calm down the redness without leaving my skin dry or flaky. Cosrx have quite a few essences and I wasn't sure which one to pick up but after watching a review on YouTube, I chose the snail essence! I know it sounds weird but the 96% snail secreation filtrate is the secret ingredient. It helps repair damaged skin, adds moisture and keeps your skin looking nice and healthy. It has a slimy consistency and once applied onto your skin, it dries very quickly. The first night I used it, the following morning I noticed the acne scars on my chin was lighter. I was amazed, I've never seen any product perform that fast! This is a great gentle cleanser, which as the name suggest great to use in the morning to cleanse your face of any residue without feeling thick or heavy. It helps cleanse, exfoliate and keep your skin balanced without irritation or tightness. Also for less than £6 it's super affordable too. 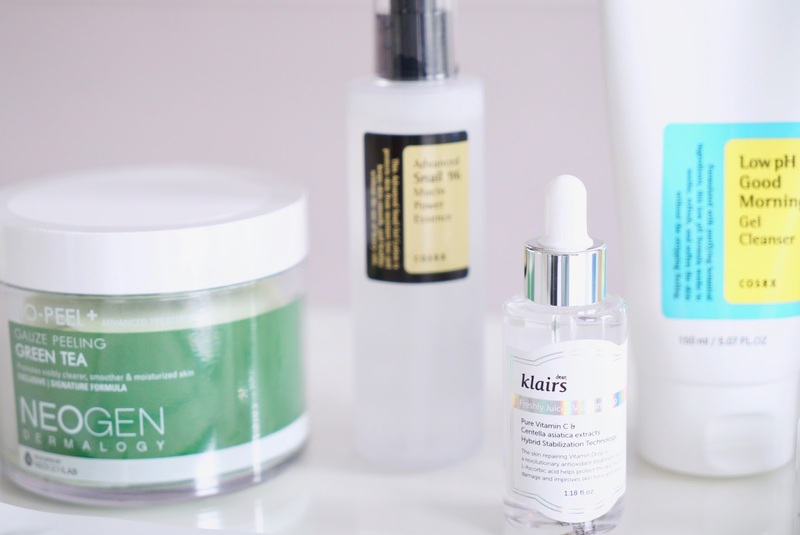 Even though I have oily and combination skin, it does get dry and dehydrated sometimes. From all the travelling it's been feeling quite dry so on the first night in Seoul I headed to Laneige to get their water sleeping mask. I've used this before so I knew my skin would love it. It's a cool gel like texture, which you smooth a generous layer over cleansed skin and leave on over night. It helps restore moisture and helps with tired, stressed skin. It doesn't feel wet or sticky and in the morning it leaves your skin feeling soft and smooth. You can use it 2-3 times a week, I leave it in the fridge for an extra cooling effect. Another product I wanted to get was the Neogen bio peel pads, which is available in the Olive Young stores, which is kind of like Sephora it has everything! This Bio Peel pads contain three layers for exfoliation. Green tea is a great antioxidant and helps calm and sooth your skin, removing dead skin cells. Contains 30 pads. I've used these before and they're great to freshen up your under eye area. It contains collagen essences and helps brighten up and calm down puffy eyes. Also in Seoul there is always offers on products, I got 20 packs for 10,000 Won as it was buy one get one free so works out about less than 40p each! 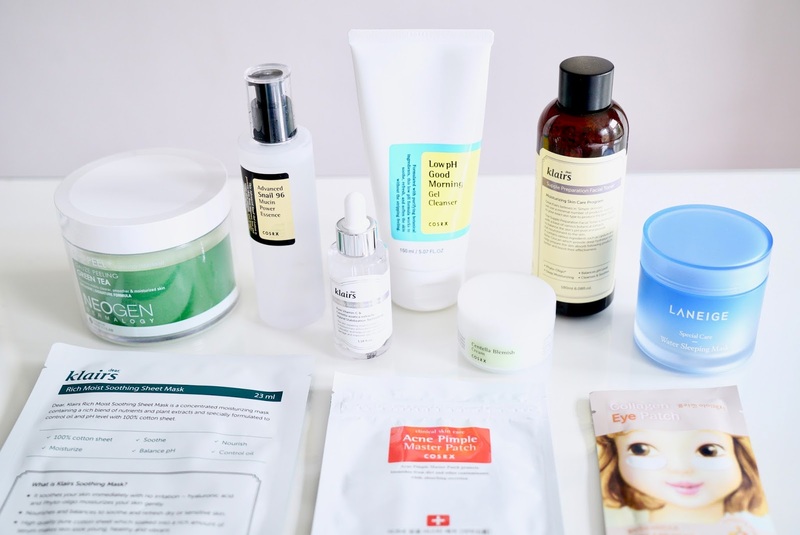 What are you K-Beauty must haves?